On February 10, 1990, just before 9 o’clock at night, Officer Robert “Bobby” Shultis made a traffic stop in the 2700 block of Arrowhead Avenue in San Bernardino. After finding drugs in the driver’s pocket, Officer Shultis attempted to take him into custody and a fight ensued. The fight moved into the street; Officer Shultis and the driver were struck by a passing car. The force of the impact threw both men about 30 feet; Officer Shultis and the suspect were both injured. Officer Shultis was transported to San Bernardino County Medical Center, where he succumbed about 45 minutes later, making him the sixth officer to die in the line of duty in the city of San Bernardino. Officer Shultis had been with the department as a full-time officer since 1985, following three years as a reserve officer. He was born on April 8, 1956, in Long Island, New York, where he grew up influenced by several other family members who were in law enforcement. He joined the Air Force and spent 10 years in the service, achieving the rank of staff sergeant. After his death, one newspaper reported that his last assignment had been as an instructor at an Air Force school where prospective sergeants were taught leadership skills. Police Chief Dan Robbins said, “I think they were sorry to see him leave … and we were anxious to get him.” When describing Officer Shultis, SBPD Captain Larry Richards said, “He’s got all types of commendations and letters” and described him as a “good patrolman who was on the promotion list.” Officer Shultis had spent the first part of 1989 on special assignment with a police strike force that focused on high-crime trouble spots. Captain Richards noted that Officer Shultis was much more than a police officer. He was involved in the community and spent much of his free time volunteering with the San Bernardino Police Explorers Post, where he helped guide youths interested in law enforcement. Captain Richards was also quick to point out that Officer Shultis “was one helluva bowler … he was probably the best bowler on the department.” Officer Shultis was also very active with the San Bernardino Police Officers Association, organizing fundraisers and acting as the group’s treasurer. 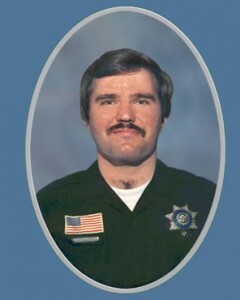 Officer Robert Shultis was 33 years old when he died, and was engaged to be married.